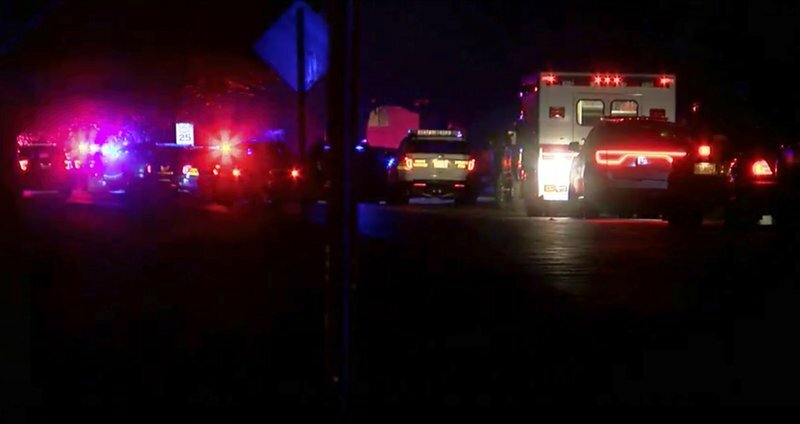 BATAVIA, Ohio (AP) — A sheriff’s deputy was shot and killed during a 12-hour standoff at an apartment complex in Ohio that left another deputy wounded and a suspect in custody, authorities said Sunday. Capt. Jeff Sellars of the Clermont County Sheriff’s Office said officers responded about 7 p.m. Saturday to the Royal Oaks Apartments in Pierce Township, about 20 miles (32 kilometers) east of Cincinnati, following a 911 call from a man who said he believed someone was inside of his residence. Police agencies came under “a barrage” of gunfire and two deputies were struck by bullets before a suspect was taken into custody about 6:30 a.m. Sunday, according to a sheriff’s release. The news release says Detective Bill Brewer was taken to a hospital, where he died. Lt. Nick DeRose was treated for his wounds and released. The release identifies a 23-year-old suspect but doesn’t say whether he has been charged. A deputy at the sheriff’s office couldn’t confirm whether any charges have been filed. He said the investigation is ongoing.